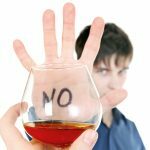 In their 2016 report, the US Substance Abuse and Mental Health Services Administration (SAMHSA) reported that over 20 million people had a substance use disorder stemming from their use of alcohol or drugs. The CDC estimates more than 70,000 people died of an overdose in 2017. The numbers are alarming. But it’s not hopeless. If you have a family member or loved one with an addiction, you aren’t alone in this desperate battle. An intervention could be the answer you’re looking for. Below, we discuss eight helpful tips for holding a drug intervention to save the one you love. The behavioral and physical signs and symptoms in an addict will sometimes surprise family and friends. Below are symptoms you’ll soon learn how to recognize as signs that your loved one needs help. If you see any of these signs or symptoms, a drug intervention may help your loved one seek treatment. An intervention is a strategically arranged discussion where friends and family confront a loved one and ask them to accept professional help to end their addiction. This dialogue means using the tough words to tell the addict how their behavior is hurting them as well as the others in their life. The goal is to give the addict the opportunity to seek professional help. Drug addiction intervention models take on many forms and shapes. They usually happen at different times during the addiction cycle. Crisis intervention involves counseling a patient who is in extreme psychological or medical distress. Sometimes law enforcement will provide temporary support to help the addict seek emergency medical services. This type of intervention involves a brief, in-person discussion between the addict and a medical professional. Brief interventions usually happen after the patient has been admitted to a hospital. The addict may be there because they overdosed or their lab test revealed a dangerous health condition during a routine doctor’s visit. This approach supports the assumption that the addict and their family are a close, connected system. When the addict’s damaging behavior touches other family members, these other members can develop their own problems. This model doesn’t include friends or coworkers in family therapy sessions designed to help the addict and their family address the destruction of their lives. The following eight tips can help families hold an effective intervention with the best chance of reaching the person who needs their help. Your intervention team is your partners who will take part in the intercession with you. This team may include the user’s family members and close friends. You may include the addict’s trusted co-workers too. Team members should also study the signs of addiction. They should learn about detox and the recovery process. Once they have this information, the team can tailor a drug addiction intervention plan that meets the addict’s needs. The intervention team creates a plan with goals, assignments, and milestones that explains how the process works. Some of these assignments may have the addict accomplish certain tasks such as attend regular doctor’s appointments or exercise during recovery. Other goals may include consulting with addiction counselors. Intervention plans spell out guidance for team members to avoid becoming an enabler. An enabler is someone who tries to solve an addict’s life problems or not hold them accountable for their destructive behavior. These personal relationships should be discouraged and there should be consequences spelled out if the addict won’t cooperate. Gather your intervention team to discuss how they can help while the addict works through recovery treatment. Some team members might be able to help with rides to group therapy sessions. Pick an assigned intervention team member to help your loved one keep these important meetings. Intervention team members should have the same message throughout the intervention. Mixed messages will only confuse the addict and damage their trust throughout the recovery process. Practice what everyone will say about their support during the recovery process. Find a time to start the conversation when the addict is not high. Arrange this meeting with your intervention team without telling your family member why you’re meeting. Invite the intervention team members to share their observations and how they’re ready to assist throughout the addict’s recovery treatment. How you talk to your loved one is almost as important as the words you use. When your intervention begins, try to use some of the following open body language postures. As difficult as it may be, try to remain calm when speaking to them. Prepare yourself for some defensive behavior from the addict. The user might think that they’ve been deceived and strike out in anger. These feelings are natural so stay composed as you describe how their addiction is ruining their health. Ask your drug intervention specialist for their input on how to stage an intervention. They can refer you and your team to other addiction professionals who can help further your drug intervention plan. Addiction professionals can also help you plan for any relapse your loved one may experience. Don’t forget to check our website for more addiction resources in Savannah Georgia. We’re here to help you unite with your loved one’s friends and other family members to learn about staging a drug intervention. You too can find the tough words that put your loved one back on the road to recovery. 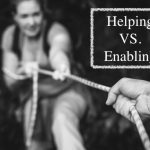 Enabling vs Helping: Which One Are You Doing? Inpatient vs Outpatient Rehab: Which is the Best Choice for Your Loved One?